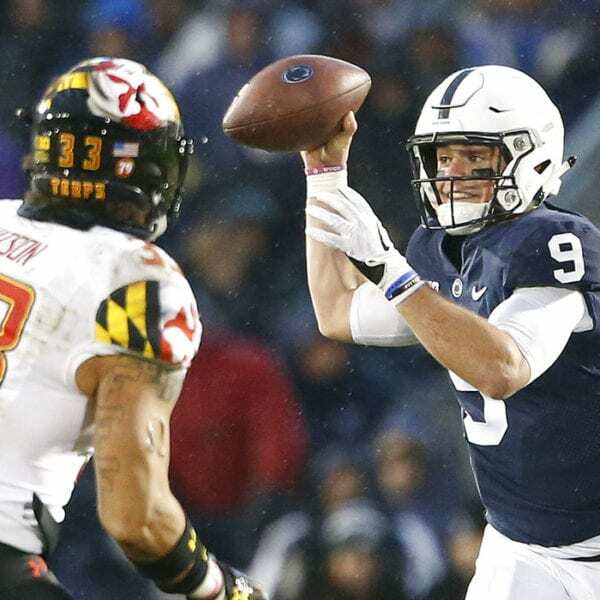 STATE COLLEGE, Pa. (AP) — Trace McSorley completed 12 of 22 passes for 230 yards and had a hand in three touchdowns to help No. 15 Penn State rout Maryland 38-3 on Saturday. Maryland kicker Joseph Petrino booted a 26-yard field goal to break the shutout. Maryland: A year that began with the death of offensive lineman Jordan McNair following a team workout in the spring ends on a 4-game losing streak for the Terrapins who’ll miss out on a bowl game for a second straight season. The program will have to make a call on interim coach Matt Canada, but Maryland has a nice class of freshman to give whoever takes over a young core to build around. Penn State: Await bowl selection. Be the first to comment on "McSorley Helps No. 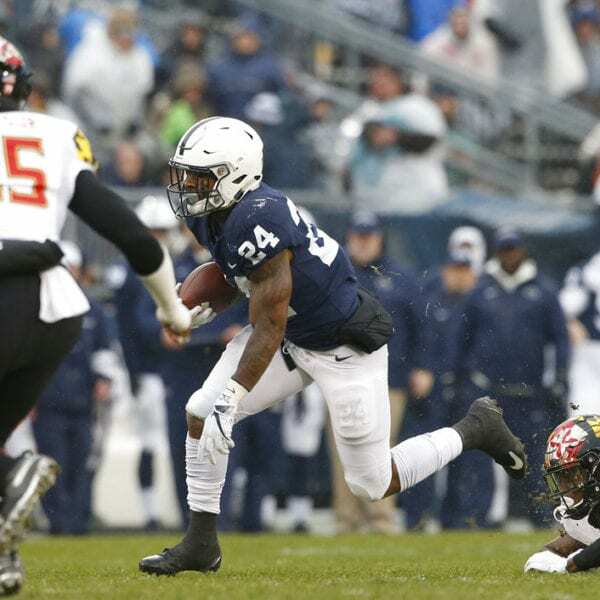 15 Penn State Rout Maryland 38-3"